While CPU options for remain unchanged, the two new configurations provide more flexibility to purchasers of the iMac Pro. The 256GB of RAM adds $5,200 to an iMac Pro, with the Vega 64X adding $700 to the unit. A fully configured unit with 18-core 2.3GHz processor with a max speed of 4.3GHz, 256 gigabytes of RAM, 4 terabytes of flash storage, and the Vega 64X retails for $15,699. The previous max spec was $13,199. The iMac Pro was the first part of Apple's response to professionals complaining about a lack of high-end Macs. The $4,999 entry-level model includes an 8-core processor, 32 gigabytes of RAM, and a 1-terabyte SSD, with an 8-gigabyte AMD Radeon Pro Vega 56 GPU. 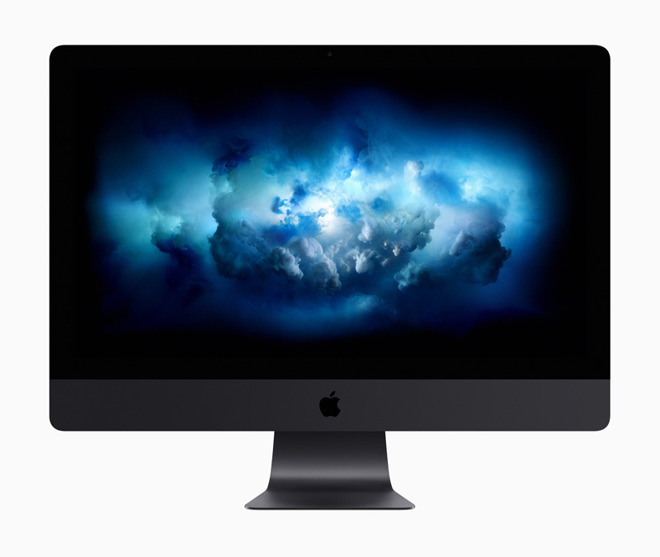 The calculation for the highest-cost specification deals only with changes to the specification of the iMac Pro itself, and not peripherals or accessories. The figure can be made to go higher when taking into account these extras, including a Space Gray Magic Mouse 2 and Magic Trackpad 2 bundle as well as the VESA Mount Adapter Kit. Taking on board the addition of Final Cut Pro X and Logic Pro X as pre-installed software drives the potential cost up to $16,427. Saving the Radeon VII for the Mac Pro? The headless MacPro has to have a slightly lower starting price... right??? I’m guessing my trash can Mac Pro will be the last “Pro” machine I will ever own, new at least.